Anyway, I get asked which donut establishment is my favorite and hands down, I say Blue Star Donuts, time and again. They have interesting flavors, use quality ingredients, and make the best dough in the biz. It doesn't help matters that their new flagship location opened two blocks from my office! 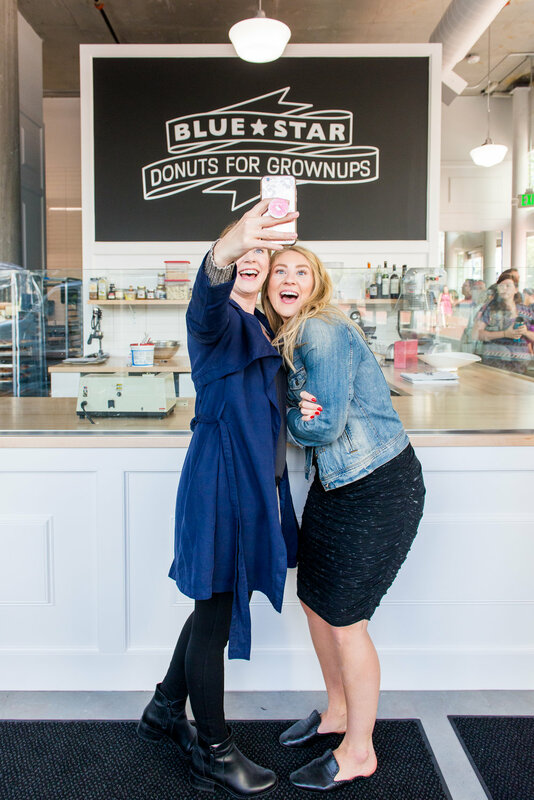 Luckily, I have a bunch of fellow donut-lovers in my crew and we ran (not walked!) to Blue Star's Grand Opening for a free pastry and a peep at their new digs.